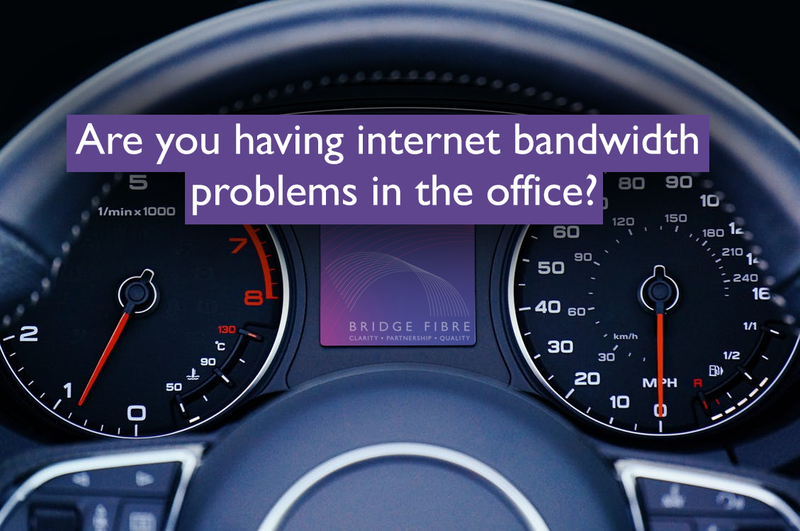 Are you having internet bandwidth problems in the office? Are your colleagues using all your internet bandwidth or is slow internet a regular complaint from your employees? We’ve compiled a list of the six main reasons your internet speed might still be in the stone age. Whether you are streaming films on Netflix during your lunch break… or music from the likes of Apple or Spotify whilst you’re working (to get in the zone). Streaming content uses massive amounts of bandwidth, in fact, streaming is the main culprit as it consumes more bandwidth than any other web service people use in or out of the office. Conference calls are great, aren’t they? That’s not a trick question. Video conferencing allows you to work from anywhere with an internet connection and have live meetings with clients from your own home/local cafe or your colleagues back at the office. Thanks to Skype amongst other key players in driving web conferencing forward, and its flexibility in general – you will be using anything from 128Kbps to 30Mbps. Quite a lot of bandwidth right there. It’s a rare sight NOT to see someone using their phone on their lunch break now. Checking their Facebook feed, sending some tweets here and there or messaging/making calls through apps such as WhatsApp. Whilst updating your status every now and then doesn’t use up any bandwidth (barely), calls on the other hand could be using VoIP (voice over internet protocol) – the good side is that those services are free… the bad side is that they do use quite a lot of bandwidth. The almighty cloud, why were you hiding for so long? We wish you were discovered earlier! The cloud has massively helped office processes and has been an overall lifesaver by helping free up space on our hard drives, store the data more securely, help improve office communications and file sharing… we could go on forever. Due to the ability to quickly access and share data – the cloud is being used more and more. However, if your bandwidth cannot keep up with the demand it will have the opposite effect and end up being slow and restrictive. Did you know for every 10Mb of mail traffic you receive will come with around 20Mb extra unwanted mail… yes, the dreaded spam emails. Might be worth looking into some spam filters such as Mimecast! Another email culprit are those large attachments people will send to each other without checking the filesizes. PDFs are the worst averaging at around 4-5Mb in size in daily office use. If you want to email us high definition pictures of puppies though – be our guest. We have more than enough bandwidth… and we love dogs! If you think about it, as soon as we walk into our offices now our phones and even tablets will automatically connect to the WiFi. It helps save personal data but will have an impact on the business bandwidth. It would be mean to not let your staff save a little bit on their phone bill though, wouldn’t it? How can you free up some bandwidth and give your internet speed a boost? If you don’t have access to a portal from your ISP to view how much bandwidth you are using, give them a call and they will be able to tell you and then advise if you should consider increasing it or vice versa! If you are using the cloud, you will need to speak to your provider to make sure your bandwidth available suits your network capacity needs, so you don’t end up with slow internet. You can find out more about our connectivity services by clicking HERE – or if you’re after some advice, please feel free to contact us directly on 01223 755055.